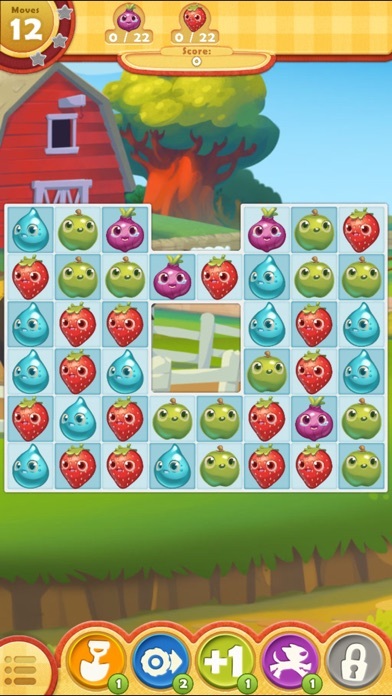 Farm Heroes Saga, from the makers of Candy Crush Soda Saga & Bubble Witch 2 Saga! Rancid the Racoon is trying to spoil the precious Farm Lands, stealing as many Cropsies as he can along the way. 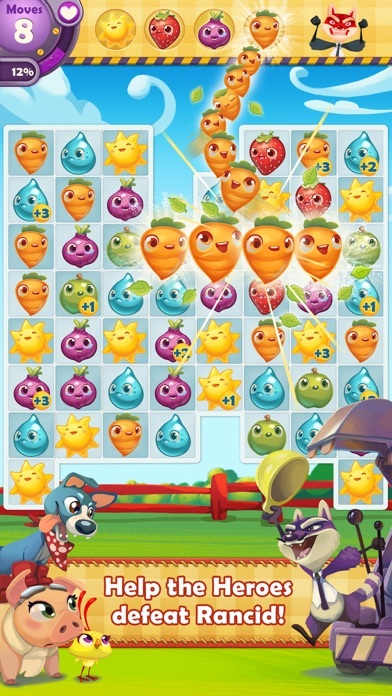 Will you join forces with the Farm Heroes and help to collect the Cropsies and save the day? 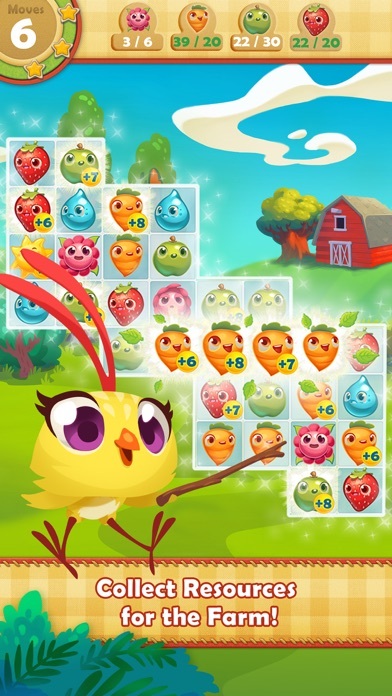 Play through hundreds of levels of switching and matching farming fun to find out! Take on this fantastic Saga alone or play with friends to see who can get the highest score! 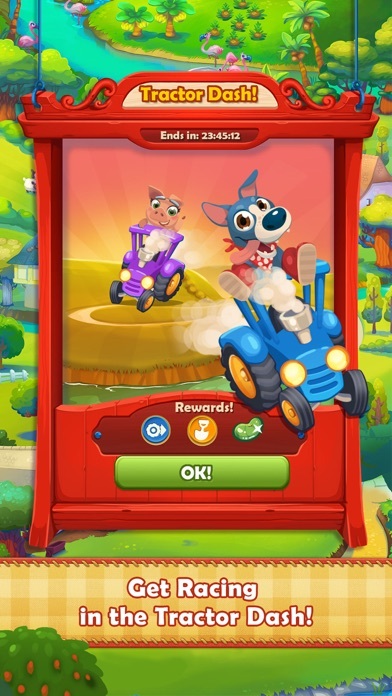 Farm Heroes Saga is completely free to play but some optional in-game items will require payment. You can turn off the payment feature by disabling in-app purchases in your device’s settings. 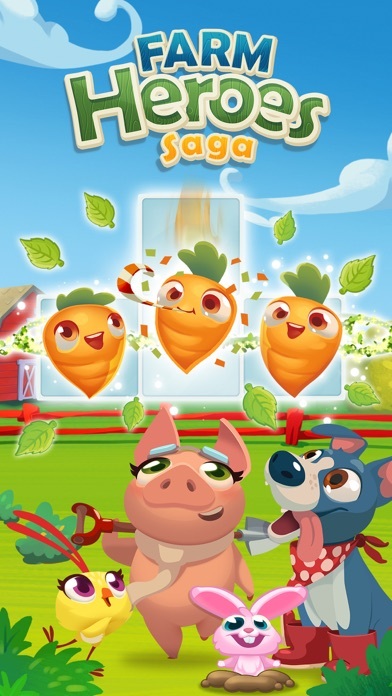 Farm Heroes Saga features: ● Collect all kinds of Cropsies to win the level before you run out of moves ● Play levels and win magic beans to help you activate Farm Club ● Rechargable boosters, special power ups and Farm Club animals to help you win those challenging levels ● Easy to play but challenging to master ● Acres of luscious levels to complete - more added every 2 weeks! ● Leaderboards to watch your friends and competitors! ● Easily sync the game between devices and unlock full game features when connected to the Internet Visit https://care.king.com/ or contact us in game by going to Settings > Customer Care if you need help! 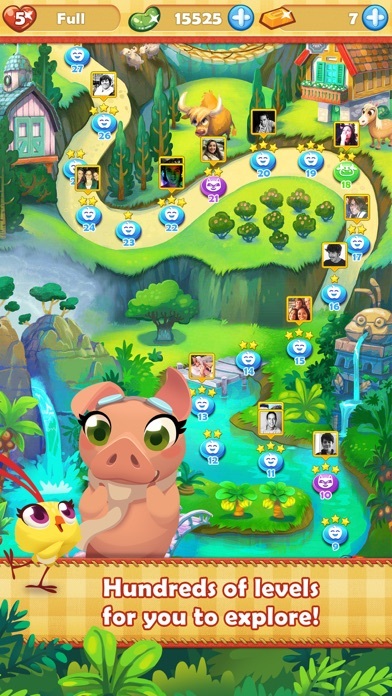 Follow us to get news and updates: facebook.com/FarmHeroes Twitter @FarmHeroesSaga youtube.com/user/FarmHeroesOfficial farmheroessaga.com Have fun playing Farm Heroes Saga! Ok I’ve been playing this game for quite some time, I love it but for some strange reason it won’t let me play! Like since the last update the games has been frozen, I’ve installed it uninstalled it and still nothing! I have only been playing a week, so far ok, I don’t like when I have to pay to get to another level. So I’ve had this game around since I’ve gotten my iPad (almost 3 years ago.) And this game, in my opinion, has kinda gotten worse. It’s not exactly very fun, and there isn’t much really to do other than to do levels over and over again. There should be more things to do, like side quests and easier ways to get hearts. Call me back when you guys have actually made this fun to play.